A woman using her mobile phone while driving. The most ridiculous excuses given by Fylde coast drivers caught using their phone behind the wheel have today been revealed by police. The list includes hilarious and downright bizarre reasons why they shouldn’t be punished for breaking a law that has been in force for more than 12 years. don’t use my phone in the car at all now, it still freaks me out to think that momentary glance to grab it, and someone could end up dead. 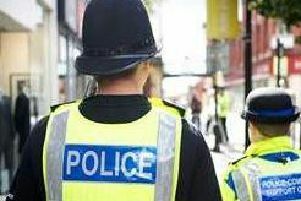 One motorist was pulled over at a police checkpoint in Blackpool after he was caught on the phone to his dad, who rang to warn him after being stopped himself just minutes before. One scheming Lancashire motorist tried to trick police who asked for his phone when he insisted he had not been using it. He then handed them another handset, only for officers to spot it was a different colour to the one he had been seen using. Police today said the humorous list of excuses serves to highlight a serious message. Official figures show 66 crashes in Lancashire over the last five years were caused by a driver using a mobile phone. And national data show it is almost twice as likely that someone will be killed or injured in an accident where a phone is involved. Colin Lowe, 39, from Kirkham, crashed his car while using his phone. The lecturer told The Gazette: “I always used to be on the phone to the wife or friends on the way home from work, thinking it was a good time to sort out the social life. “But I hit a chunk of wood from the trees on the Kirkham bypass and ended up over the kerb and into a bush. “It frightens me to this day when I think what I hit. It could have been anything. I didn’t see it and it was a lump of static wood. If it was someone – a child – crossing that road at that speed, they’d have had no chance whatsoever. “It took days for me to get over the fright. And it cost me hundreds of pounds to fix the car. A Lancashire Police spokesman said: “We regularly catch people using a hand-held mobile phone while driving. It is illegal to use a mobile phone held in the hand while driving or while stopped with the engine on, meaning drivers who check their device while stopped at traffic lights are breaking the law. Anyone caught faces a £100 fine and three points on their licence. Drivers can end up in court if they fail to pay or if police decide the offence is more serious. Court-imposed fines can be as high as £1,000 – or £2,500 for larger vehicles like buses – and in more serious cases drivers can be charged with careless or dangerous driving. Kevin Clinton, head of road safety at the Royal Society for the Prevention of Accidents, said: “There is no excuse for ever using a mobile phone while driving. Drivers who use a mobile phone, whether hand-held or hands-free, are much less aware of what’s happening on the road around them, fail to maintain proper lane position and steady speed and react more slowly, taking longer to stop.